No matter what size screen consumers might be seeing the promotional message, securing budget is the current biggest concern for automotive marketers, according to a recent study. In today's ever-evolving digital landscape automotive marketers must capitalize on every opportunity online to engage shoppers to remain competitive, making it a challenge to decide which aspects of marketing to direct ad dollars. As a result, 40 percent of auto marketers named securing budget as their top concern when asked by GetResponse for its recent study, Email Marketing and Beyond: Global Industry Benchmarks. GetResponse created its research report in partnership with Holistic Email Marketing, an email marketing consultancy. Their findings are based on a survey of 2,510 email marketers who belong to a range of industries. The study also found that the automotive industry has one of the lowest click rates among the group of 18 different industries evaluated. 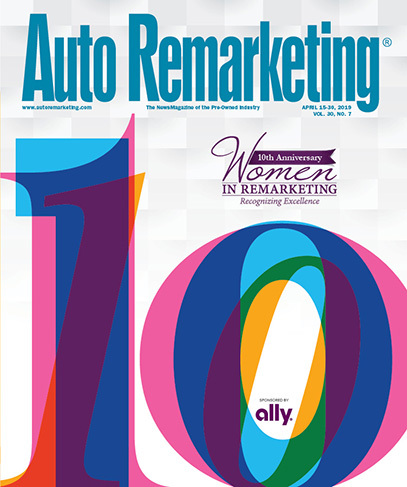 At 18 percent the average click rate reported by automotive marketers is the second to lowest, followed by the internet marketing at 13 percent. The average click rate across each industry is 3.9 percent. The auto industry is first when it comes to using automation, and travel marketers were found to use it the least. Seventy-three percent of auto marketers say they do and just 46 percent of those in the travel industry. Additionally, only 11.80 percent of marketers are using lead scoring and 17 percent of automotive marketers were found to. The desktop is where the auto industry receives most of its traffic. A total of 65 percent of the industry's traffic comes from desktops, according to a recent study by ContentSquare examining the user experience of customers. The company’s study, "Solving the Automotive Industry’s Ecommerce Challenges," also suggests that marketers focus on visuals to engage consumers online. It found that of the shoppers it surveyed, 40 percent of them interact with the visuals on product pages. For example, on pages with visuals about new technologies, they recorded traffic increased by 127 percent, according to the study. While the desktop is important, the same shoppers also use their mobile devices to shop, so marketers must focus on winning the consumer mobile moments too says Dominion Dealer Solutions director of managed marketing services Amy Peck. She said another thing to keep mind is how voice search will affect traffic. Online searchers via artificial intelligent virtual assistant devices such as Amazon Echo are becoming popular for consumers. “Typically, voice searches are longer tail searches asking for more information. It is critical that a new or used-car dealership’s website content is conversational- always looking to answer questions consumers may have about the dealership,” Peck added.